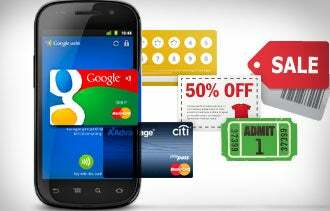 Is Google Wallet the Next Step in Mobile Payments? When it comes to reinventing the way people pay for goods and services, Google is ahead of the pack with its Google Wallet Android application, available on the Sprint Nexus S 4G phone. It allows users to transfer money directly to merchants using a smartphone app that runs on devices that are enabled to accept "contactless" payments. While other, similar systems -- such as Exxon and Mobil's Speedpass program -- exist, Google Wallet is the first major deployment of the technology with wider retail functionality. And although the service is still largely in the roll-out phase, and it isn't perfect, it does offer some tantalizing possibilities for businesses considering the future of mobile commerce. What is it: Google Wallet lets consumers to pay for goods and services by using virtual credit card information stored on a smartphone that communicates wirelessly with a nearby payment terminal. The transaction works by tapping a smartphone against a special reader -- for now, MasterCard PayPass -- that merchants install at their point-of-sale terminals. Google Wallet doesn't change the relationship between small businesses and their financial institutions any more than an old-fashioned leather wallet. It's just an intermediary. A transaction processed using Google Wallet still goes through the traditional route including banks and credit card companies. There are no added fees for accepting Google Wallet payments, but merchants will still pay the same credit card company transaction fees. What you might like: It's an interesting new way to accept payments that fits the way smartphone-tethered consumers live their lives. Google Wallet also opens up promotional opportunities. Consumers will be able to use their phones to redeem "Google Offers" -- Google's version of daily deals. Small businesses will be able to offer customers digital loyalty cards through the app. What you might not like: Google Wallet is still in the early stages of deployment. For now, the only virtual credit cards supported are a Citibank MasterCard or a Google Prepaid card, although users can add money to a Google Prepaid card using any credit card. A business also needs the infrastructure in place to accept payments. That requires upgrading your point-of-sale with a MasterCard PayPass terminal, with varying cost. The app is only available on the Sprint Nexus S 4G right now. So, presumably a fraction of your customers will be immediately able to use the service. Bottom line: Google Wallet is a lot like many things Google does: It's a marvelous idea that is a step or two ahead of its time. For businesses that serve a niche market, with dedicated smartphone-using customers, there could be near-term upside in supporting the technology.